Debriefing is often considered to be the most important aspect of a simulation session, and facilitating effective debriefing is an essential skill that requires practice. 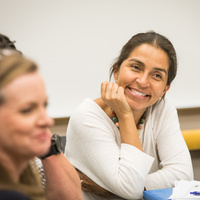 In this workshop, participants review the goals of debriefing, learn debriefing techniques, and have an opportunity to practice debriefing skills. The instructors and the participants consider common challenges and potential solutions. List the different models for debriefing. Manage pitfalls frequently encountered in debriefing. UCSF designates this live activity for a maximum of 277 AMA PRA Category 1 Credits. Physicians should claim only the credit commensurate with the extent of their participation in the activity.